Philosophers of the Islamic world enjoyed thought experiments. If the heavens vanished, they wondered, would time continue to pass? If existence were distinct from essence, would that mean that existence itself must exist? Can God turn your household servant into a horse, so that you come back home to find it has urinated all over your books? But the most famous is the so-called ‘flying man’ thought experiment, devised by the most influential philosopher of the Islamic world, Avicenna (in Arabic, Ibn Sīnā, who lived from 980 to 1037 CE). Imagine, he says, that a person is created by God in mid-air, in good condition but with his sight veiled and his limbs outstretched so that he is touching nothing, not even his own body. This person has no memories, having only just been created. Will his mind be a blank, devoid as it is of past or present sensory experience? No, says Avicenna. He will be aware of his own existence. Three questions immediately arise. First, when Douglas Adams, the author of The Hitchhiker’s Guide to the Galaxy (1978), imagined a whale popping into existence in mid-air above an alien planet, had he been reading Avicenna? I have no idea, but I like to think so. Second, is Avicenna right that the ‘flying man’ would be self-aware? Well, it’s important to realise that Avicenna does not attempt to argue that the flying man would know that he exists. Rather, he takes it as obvious. In one version, he even tells readers that we should imagine ourselves being so created. If we put ourselves in the flying man’s dangling shoes, we should just see that we would be self-aware. Indeed, this turns out to be a fundamental idea in Avicenna’s philosophy. He thinks that we are all always self-aware, even when we’re asleep or focusing hard on something other than ourselves. Paradoxically, we’re often not aware of being self-aware: it is the non-interruptive background music of human psychology, something we notice only when our attention is called to it, a pre-reflective awareness of self. The flying man thought experiment is itself one way to call attention to this self-awareness: Avicenna calls it a tanbīh, meaning a ‘pointer’ to something. Our self-awareness is a foundation for our first-person perspective on things. It’s a sign of this that when I see, imagine or think something, I can immediately apprehend that I am seeing, imagining or thinking about that thing. Any other form of cognition – any awareness of other things – presupposes awareness of oneself. Incidentally, you might object that the flying man would have certain forms of bodily awareness despite his lack of vision, hearing and so on. Wouldn’t he at least sense the location of his limbs by another form of sensation, namely proprioception? Imagine you are in total darkness and your arm is not resting on anything: proprioception is the sense that tells you where it is. This is indeed a problem for the thought experiment as Avicenna sets it up, but it isn’t really philosophically decisive. One can just modify the scenario by adding that God blocks the man’s ability to use proprioception, or that the flying man’s proprioceptive faculty happens to be defective. Avicenna’s claim will then be that, even under these circumstances, the flying man would be aware of himself. Now for the third, and hardest, question: what does the flying man thought experiment prove? Avicenna draws a surprising conclusion: it shows that we are not identical with our bodies. Just consider. The flying man is aware of himself; he knows that he exists. But he is not aware of his body; he doesn’t know that his body exists, nor indeed that any body exists. And if I am aware of one thing but not another, how can those two things be identical? This sounds pretty persuasive, until you reflect that one can be conscious of a thing without being conscious of everything about it. You, for example, have been aware of reading this article for the past few minutes, but you haven’t been aware of reading something written while Dixieland jazz was playing. It would be a mistake to conclude from this that the article is not something written with Dixieland jazz playing. In fact, that is exactly what it is. 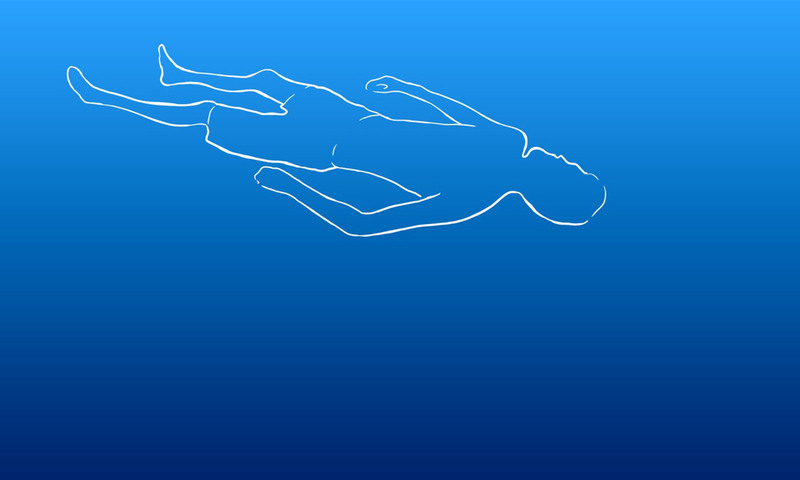 To put it another way, the flying man could be aware of his self without realising that his self is a body. Contemporary philosophers would say that Avicenna is mistakenly moving from a ‘transparent’ to an ‘opaque’ context, which is basically a fancy way of saying what I just said. Efforts have been made to spare Avicenna from this mistake. One possible way to rescue the argument would go like this. Avicenna is trying to criticise another way of thinking about the soul, one that goes back to Aristotle. According to the theory he rejects, the soul is so closely associated with the body that it can only be understood as an aspect or organising principle of the body, which Aristotle called the body’s ‘form’. The thought experiment is designed to show that this is wrong. It does so by calling to our attention that we have a means of access to our souls apart from bodily sensation, namely self-awareness. How would this refute Aristotle? Well, consider again just why it is that the flying man is not aware of his body. It is because he is not currently using his senses and has never done so (he only just started existing, remember), and sense perception is, Avicenna assumes, the only way to become aware of any body. If this is right, then anything that the flying man grasps without using sense perception is not a body, not material. Since he does grasp his soul without using sense perception, his soul is therefore not a body. On this reading, Avicenna would be helping himself to a pretty big assumption, which is that bodies can be discovered only by the senses. You can see, hear, touch, taste or smell them, but otherwise you can never so much as know that they exist. Since for Aristotle the soul was a form of the body, if you couldn’t experience the body, you would not, on his account, have access to the soul; and yet, Avicenna claims, the falling man would have access to his soul. I suspect this is (at least in part) what he had in mind in creating this thought experiment. But that’s not to say that I’m convinced. All Avicenna has really done is to throw down a challenge to his materialist opponents: show me how a body could be aware of itself without using sensation to do so. Philosophy in the Islamic World by Peter Adamson is out now through Oxford University Press.